Debt collectors come collect your money here! Tax collectors-be aware of Kru's money making schemes at these Kliniks! Disgrunted patients-contact these kliniks to recoup your money! Anyone idiot enough to but this new scam- contact Stuttgart personally! - NEED PATIENTS TO OPERATE OR NO OPERATIONS!! DISCOUNTED RATES for short time only! 55EUROS for investigation aka operation NOW! Again: operations now also in Stuttgart will be possible. In addition next week kommte more. Immediately the costs of 55 euro of the investigation are void with legally insured female patients and patients. Many greetings ------------------- Dr. med. 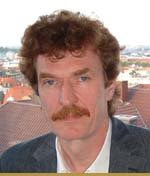 Daniel Kruschinski EndoGyn.de, Gebaermutterentfernung.de, Endometriose.name, Myome.de, Zysten.name, Verwachsungen.de, elevator Laparoskopie.de © by EndoGyn Ltd..
------------------- Dr. med. Daniel Kruschinski EndoGyn.de, Gebaermutterentfernung.de, Endometriose.name, Myome.de, Zysten.name, Verwachsungen.de, elevator Laparoskopie.de © by EndoGyn Ltd..
Hello Dr. Kruschinski, escapes Hanover and Braunschweig then completely? NO!!! Those are all partner hospitals, which remain natural. From here we develop now our net of the global supply and operation possibility residence near. Many greet ------------------- Dr. med. Daniel Kruschinski EndoGyn.de, Gebaermutterentfernung.de, Endometriose.name, Myome.de, Zysten.name, Verwachsungen.de, elevator Laparoskopie.de © by EndoGyn Ltd..
Hello, well supercongratulations. And can the problem with dern KK is then also settled, come one there again only with briefing to you?? Genuinly madly the Kk would be theatre makes in such a way for many where. LG SallyPosted Wednesday, 27 February 2008 @ 18:59:59 unfortunately no, the cash problems remain first. We try to negotiate, but you can achieve the largest pressure by if you change the cash. Greeting ------------------- Dr. med. Daniel Kruschinski EndoGyn.de, Gebaermutterentfernung.de, Endometriose.name, Myome.de, Zysten.name, Verwachsungen.de, elevator Laparoskopie.de © by EndoGyn Ltd.. Thus and now it becomes seriously, if we liked to einplannen one OI day in Stuttgart, needs we female patients, who want to be operated. Anviesiert is at the end of March to in the middle of April, a female patient has we surely. First of all or BKK's private-insured for the Myomoperation or bearing nut/mother distance. Please to me announce: info@EndoGyn.com ------------------- Dr. med. Daniel Kruschinski EndoGyn.de, Gebaermutterentfernung.de, Endometriose.name, Myome.de, Zysten.name, Verwachsungen.de, elevator Laparoskopie.de © by EndoGyn Ltd..
naturally erts once we ------------------- Dr. med. Daniel Kruschinski EndoGyn.de, Gebaermutterentfernung.de, Endometriose.name, Myome.de, Zysten.name, Verwachsungen.de, elevator Laparoskopie.de © by EndoGyn Ltd.. Yes, also there investigations can take place, however depends the when on whether we find patients for Stuttgart to the OI. To become before present not to be and thus no investigations to offer there be able. There will first maintained the investigation with 55 euro for legal versicherte, in Braunschweig can with a transfer note on "MVZ Pauwelstr., Braunschweig, Gynaekologie" also with the cashes be accounted for. Many greetings ------------------- Dr. med. Daniel Kruschinski EndoGyn.de, Gebaermutterentfernung.de, Endometriose.name, Myome.de, Zysten.name, Verwachsungen.de, elevator Laparoskopie.de © by EndoGyn Ltd..
Mr. Dr. Kruschinski, could announce them here in the forum, when investigations are possible in Stuttgart? If you it then know. Or one would have quasi provisionally in front-announces itself... Thank you that they take themselves time, to so many questions to answer.... Friendly greetings ------------------- BrigittaPosted Tuesday, 4 March 2008 @ 20:04:56 Best, sicha lle, those announce in Stuttgart to be examined or operated wollne, by email on info@endogyn.com, then we can also better planen.#Gruss ------------------- Dr. med. Daniel Kruschinski EndoGyn.de, Gebaermutterentfernung.de, Endometriose.name, Myome.de, Zysten.name, Verwachsungen.de, elevator Laparoskopie.de © by EndoGyn Ltd.. The inspection in Stuttgart resulted in that we can plan the first OI day in Stuttgart at 14. or 21.4.08. We will begin first with "easier" operations, i.e. heavy growing together and complicated Endometriose will become we first only in Braunschweig to operate. Who would like to be operated in Stuttgart, should announce itself under info@endogyn.com. ------------------- Dr. med. Daniel Kruschinski EndoGyn.de, Gebaermutterentfernung.de, Endometriose.name, Myome.de, Zysten.name, Verwachsungen.de, elevator Laparoskopie.de © by EndoGyn Ltd.. CALL NOW! REMEMBER - Everything is confidential at Endogyn! Why has Kruschinski kept this a secret from the Endogyn International English message board? Are these German women dumber then dumb or what? Did Kru (the 1st) dump Lisa Gravens as his "patient Advocate?" Will "Frank Bolt" bolt back to Germany for another surgery? Did Dandy Sandy Sampson survive Endogyn or is she off touring the world? Will Kru I start to give out Karen Stewart's book now that he has patients coming in? Oh yeah, isn't that book in English ONLY ..oh well, Kru has a full case of them to give out yet! Full of obsolete information that is! THESE POSTS FOUND IN THE GERMAN MESSAGE BOARD WILL BE INTERESTING TO WATCH AS "KRU I" ATTEMPTS TO RE-INVENT HIMSELF ONCE AGAIN.. AND REMEMBER .....IHRT PREDICTED HE WOULD DO THIS..IHRT RIGHT AS USSUAL!